The most popular photo editor favored by over 400 million users worldwide! Musthave iOS app for 2014 App Store Top 10 apps of the year Features 【Beauty Retouch】 >> Auto retouch Auto skin enhancement, eyes brightening and facelift in one fast tap! >> Smooth and whiten skin Remove wrinkles, optimize skin tones and give your skin a perfect look. >> Remove blemishes Tap to remove acne, blemishes or any other skin imperfections. >> Slimming Facelift or weightlose with the touch of your fingers. Get the perfect body shape that you always wanted. >> Remove dark circles and bags under the eyes. >> Enhance eyes Brighten and enlarge your eyes to look amazingly attractive! >>Taller instantly gives you longer and slimmer legs! 【Powerful Editing Tools】 Dozens of quality effects and frames that will give your photo a stunning look in an instant. All the essential tools for finetuning your photos to perfection Crop, Rotate, Sharpen and so much more! 【Photo Collage】 Four fun and easy collage modes for telling your own special stories with photos Template, FreeStyle, Posters and PicStrips. Camera】 The brand new Camera, highly recommended by pro photographers, includes over 50 stunning realtime filters that allow you to shoot like a pro. 【Materials】 Stylize your photos with a variety of high quality frames, backgrounds, brushes and filters for free, updated weekly. 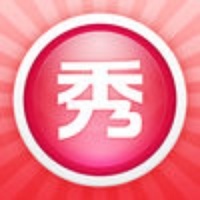 【Sharing】 Easily share your photos on Facebook, Twitter, Instagram, WeChat, etc. Check these links to find your download for MeituPic for & iOS or for your device iPod TouchiPadiPhone. The app MeituPic is compatible with te following devices.